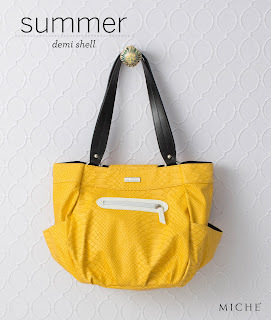 The season that bears her name, the Summer Shell for Demi Bags is all about sunshine, warmth and happiness. Bright yellow faux leather in a fashion-forward snakeskin pattern is accented by a convenient white-trimmed front zipper pocket. Perfect Miche Bag for adding a pop of color to virtually any outfit!